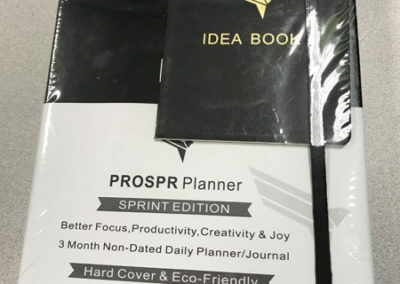 Disclaimer: Prospr Planner has asked us to write a review for their product in exchange for a free copy of the planner. Check out the exclusive discount and contest giveaway Prospr Planner has for Mommy Bear readers! 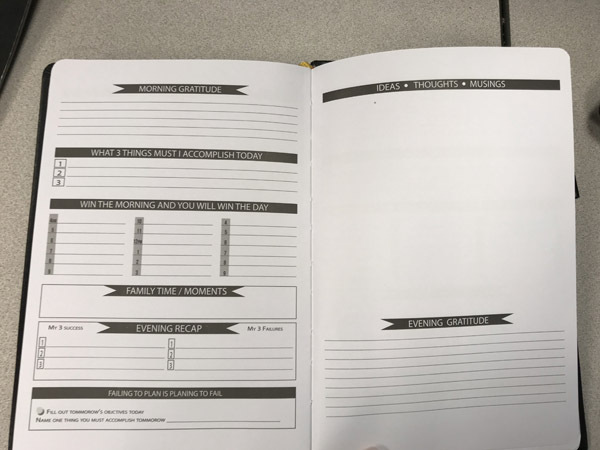 Today I wanted to share with you another planner that can help organize your parenting and work life to help get you more time with you family, and more done at work. 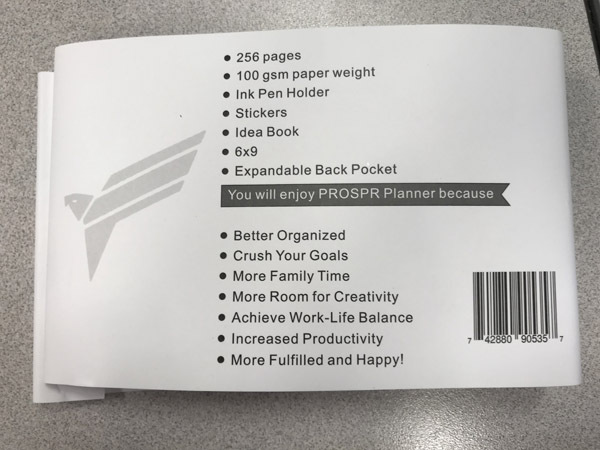 This planner is called the Prospr Planner. There are 3 different versions of this planner, and today I will be reviewing the Sprint Edition! A Planner For Work, Family, Gratitude, and More! 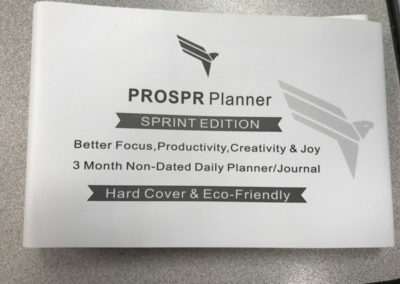 I have been using the Prospr Planner: Sprint Edition for over a week now, and I must say that it flows pretty well. When starting your planning, there are 3 monthly calendars spaced throughout the planner. This is very helpful for marking down long-term meetings, plans, and goals. With the calendar you also get a space to plan your goals for the month, and steps you will take to meet these goals. This goals are meant to move you closer to your overall goal, which I discuss in a later section. After the pages for the big picture for the month, you get individual day pages. 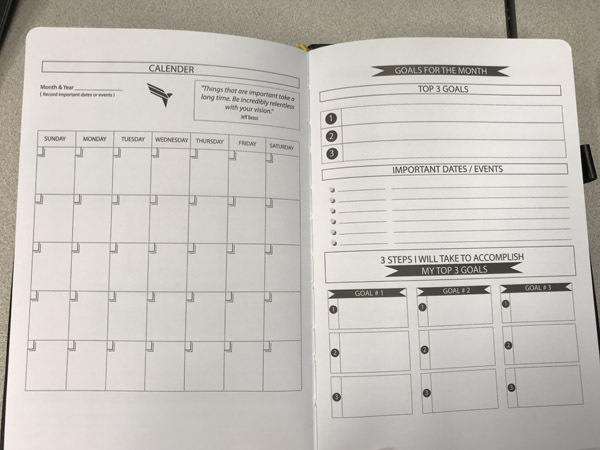 These pages include a place to mark your 3 main goals for the day, and an hourly day schedule to plan out everything in detail. This has helped me keep on track and remember daily appointments. There is also space to mark down morning and evening gratitude as well as family moments you want to remember from the day. These sections are the best, because in order to achieve true happiness in life, you have to be grateful for what you have and take nothing for granted. Reminding youself of the things you are thankful for will help keep your spirits high and motivated towards your goals! The planner comes with stickers to place so you can mark the day and date, and also some other fun stickers to give some visual and pop to the planner and to keep you focused on what matters. The day and date stickers are one of the issues I had with this planner. Not a huge deal, but I feel like this heading could have been printed on each page, since you are likely wanting to write the day and date down anyways. 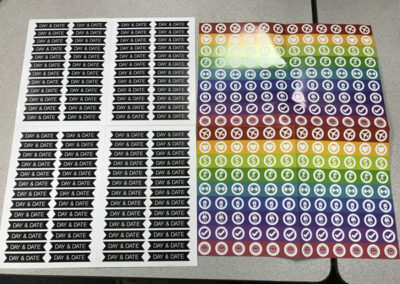 Again, not a huge deal since there is plenty of space at the top to write today’s date without taking time for the stickers. Opposite each day page is amble space to write down ideas, thoughts, and musings. 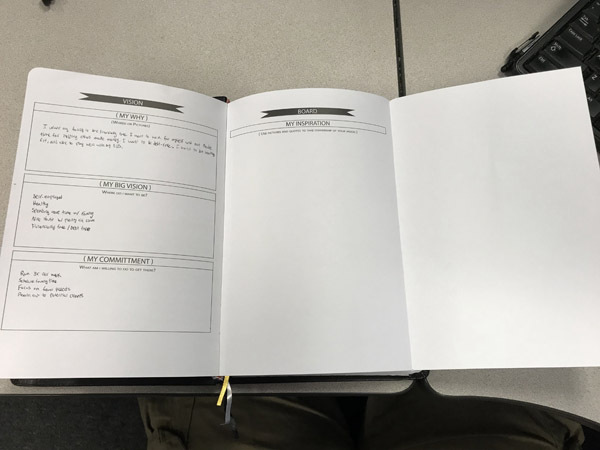 This is great to have in a planner because you are always going to have good ideas (and some bad) and having this section allows you to look back on these ideas and see when you had the idea as well. Every 7 pages there is a weekly recap and a prep page for the next week. This section is super helpful to reflect on what went right and wrong the previous week and make adjustments, as well as plan for what needs to happen in the coming week. My issue with this section is that the pages in the planner are not dated, so I may not necessarily use all 7 pages (like if I don’t want to plan on the weekend and take a day off), so I am on a new week, but not at the weekly recap. I either need to skip pages or my weekly recap will be off. This may have been better in a separate section or in a planner with dated pages, but it doesn’t deter me from using the planner. I will likely just skip some pages to hit the weekly recaps because they are important to fill out for sure. What are your long-term goals, and why do you want to reach them? PROSPR Planner helps you think about and document just that! 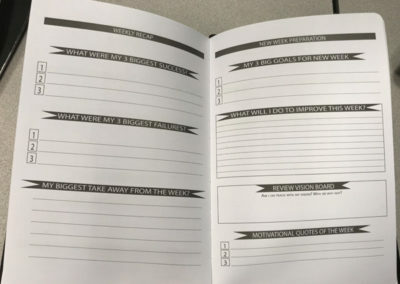 There is a section towards the front of the planner that asks you to explain your “why”, your big vision for your future and where you want to be, and your commitment to your dreams (a.k.a. what you are willing to do to make those dreams a reality). Since this is a very family-centered planner, and my family is a big part of my own life, I have not only personal goals listed here, but also goals for my family and where we want to be in the next 3-10 years. Sometimes it’s hard to plan that far ahead, but it’s necessary if you have a big dream. The earlier you start the better! 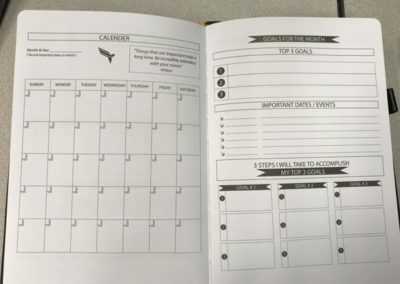 The vision board in the Sprint Edition is big for such a small planner. The page flips and folds out the the right, so you have extra space to draw, write, and paste the images to help bring a visual to your dreams. If you can see it, it is much easier to work for it. 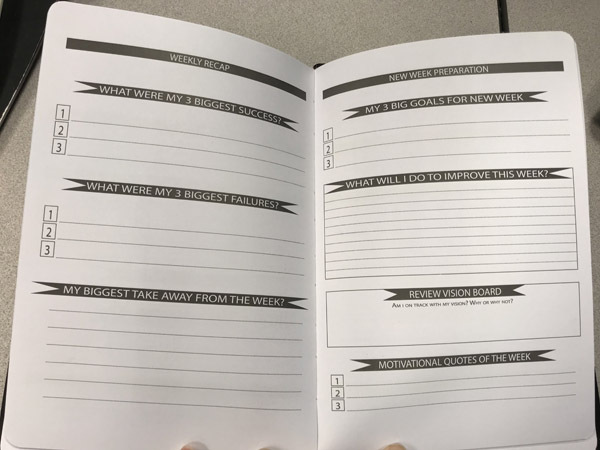 The pages for your “why” and your vision board form the basis for everything else you plan in the PROSPR Planner, since your daily and weekly goals help get you towards your overall vision. Make sure not to skimp on these sections and clearly define what you want out of life. Everything else is just steps to making that happen! Be diligent. You need some type of planner in your life for yourself and your family, or you will float through life with no clear direction. It is also easy to miss things that you don’t schedule, such as family time if you are a busy working parent. Schedule family time in and it won’t be missed. Schedule that exercise in multiple times a week, and you will be more likely to do it and work towards better health. The PROSPR Planner definitely helps you do all this in a fun and concise way. 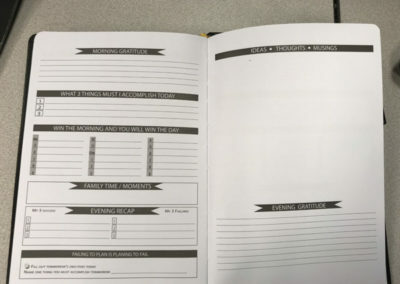 If at any point you get stuck or confused on what type of information should be entered in the different section of the planner, the Sprint Edition of the PROSPR Planner comes with not only text instructions on how to use it, but also 8 pages of samples entries to serve as a guide to help you along the way. Overall, this is a great planner that provides a ton of ways to stay focused, stay inspired, and drive you towards your goals. 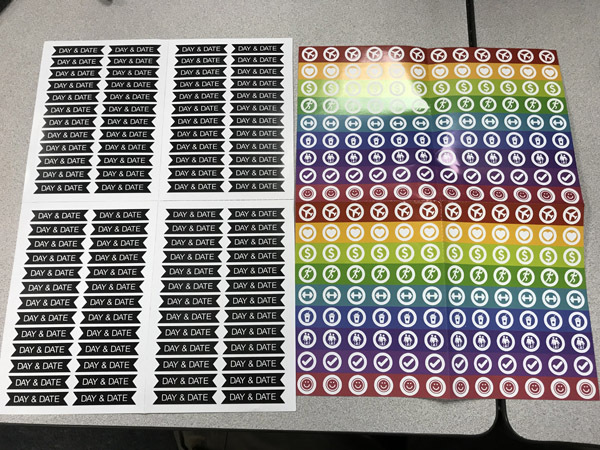 There was the minor issues with the weekly planning being in a weird spot, and having to add stickers to mark each day, but this doesn’t take much away from the overall experience. I would rate the Prospr Planner Sprint Edition at a 4.5 out of 5 stars! Now the fun part. GIVEAWAY AND CONTEST TIME! 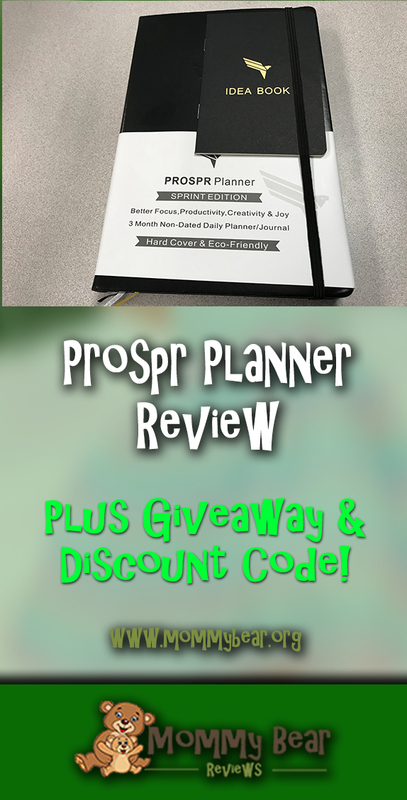 Prospr Planner Discount and Giveaway! 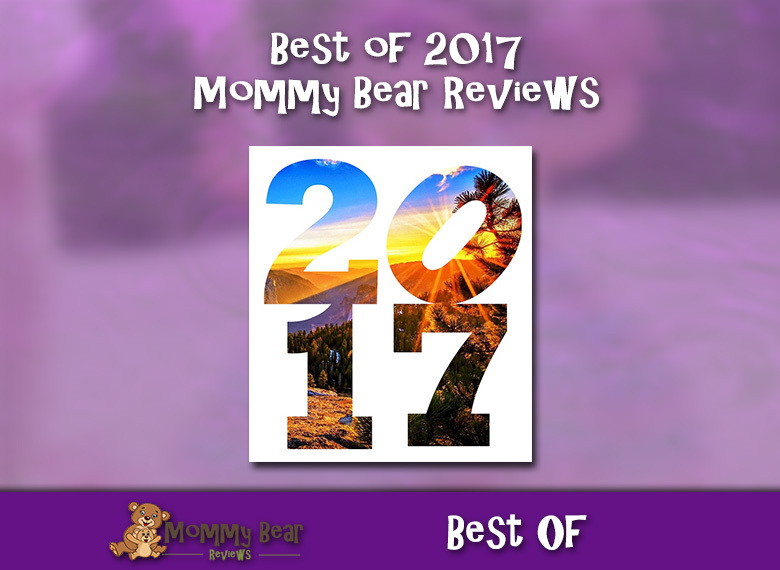 In sponsoring this review, PROSPR Planner has graciously offered a hefty discount to Mommy Bear readers! And if you want to test your luck, PROSPR is sponsoring a giveaway for Mommy Bear Readers as well! The giveaway is fulfilled by PROSPR, and so will be shipped directly from the company after a winner is chosen! 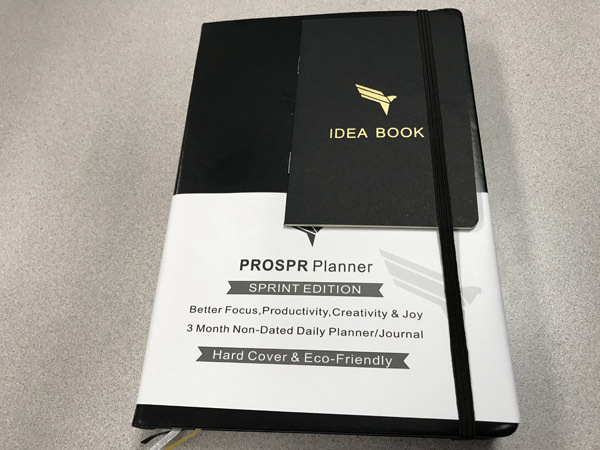 Ready to enter the PROSPR Planner: Sprint Edition Giveaway? 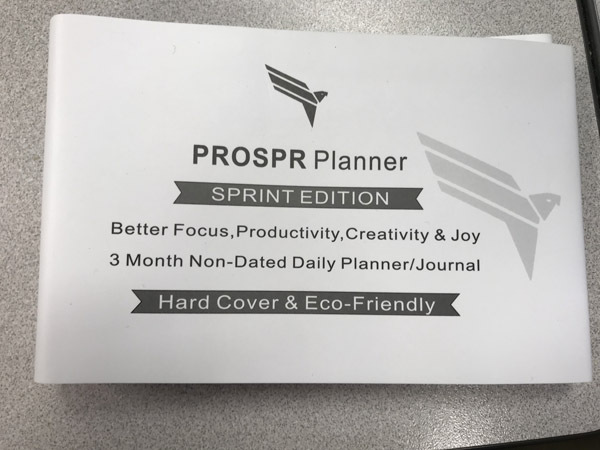 Use the widget below and enter to win your very own Prospr Planner Sprint Edition! Sign up for the contest and share it with friends! You get 25 points for every friend who signs up using your referral! You can also get easy entries by visiting Prospr Planner and Mommy Bear in various locations specified below. You can also send a Tweet with our contest message for 10 bonus entries! 1 planner will be given to 1 winner, so be sure to get as many entries as you can to increase your chances! 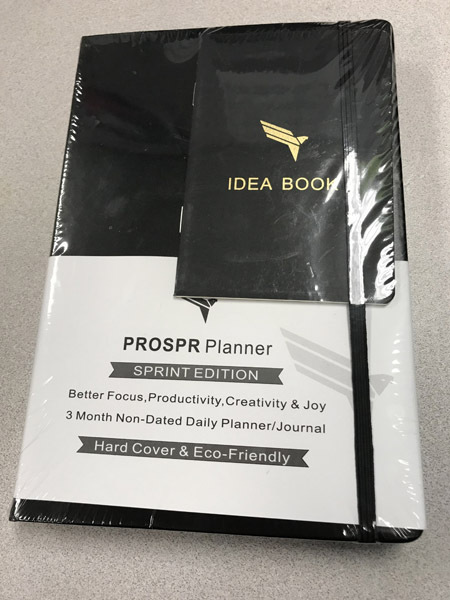 Prospr Planner: Sprint Edition Giveaway! Interested in a bigger and more robust planner? PROSPR offers that as well in their Mastery Edition! Check out Prospr Planner Mastery Edition!